I played For Honor as part of the beta. I enjoyed the game once I got used to the controls. I made a Logitech G13 profile for it because that is what I do at this point unless the game works with my xbox 360 controller. The profile definitely helped with the special buttons closer at hand then they were with a keyboard. I found controlling the player to be easier on the keyboard than on the xbox 360 controller. I haven’t picked up the game proper yet. I am waiting for the game to get less expensive before I do. 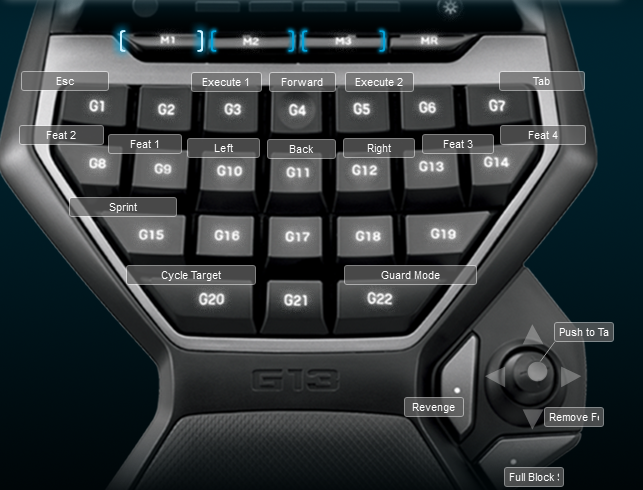 Below is the image of the keyboard layout I used for the game.